This level has hard difficulty. For this level try to play near to blockers and make special candy as you get the chance. 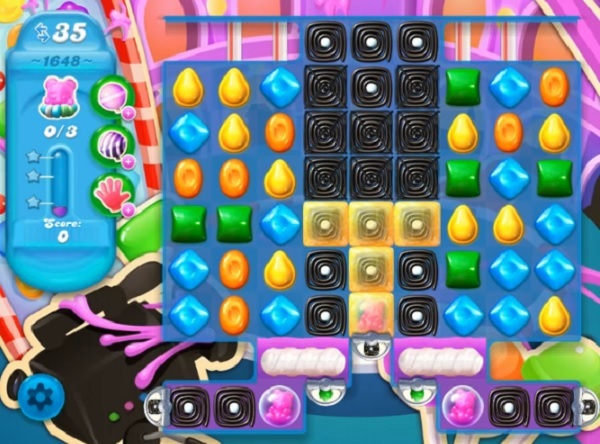 Combine special candies with each other and use more striped candy to move bear and take them out from the board. BUT… How do you produce more bottles?? I’ve made matches by tge littke “hubs, but after the 1st group, you don’t see enough bottles to make the water rise!